Barleylands Farm Park and The Village near Billericay, Essex, is open for coach tours to enjoy a wholesome day out in the country. The top Essex attraction – Barleylands Farm Park and Craft Village – is the perfect destination for a relaxing and enjoyable coach trip. Visitors love the variety of things to see and do, from just browsing The Village and meeting artisan craftspeople to learning new skills and bird spotting in the aviary. The Village offers a range of art and craft workshops, shops and boutiques, Tiptree Tea Rooms, fine dining at The Magic Mushroom, and holds many special events during the year, including farmers markets and wedding fairs. Meanwhile, Barleylands Farm is home to animals big and small including birds of prey, and the region’s largest collection of reptiles. It features a discovery barn with the history of farming through the ages, practical demonstrations and countless animal encounters and daily activities. Guests can visit the Animal Barn to feed the Gotland sheep, Old Spot pigs and smaller animals in the bunnies’ miniature village. Outside, you can also meet the alpacas, highland cows, horses and donkeys. 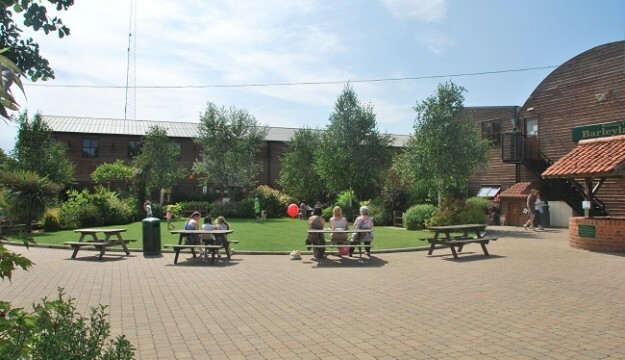 The Village features art and craft studios, where visitors can book and participate in a selection of creative workshops, from pottery to art classes; textiles to woodcrafts. Alongside craft workshops, there are outlets offering beautiful pieces of art, clothing, musical instruments, fabrics, pottery and carvings; to browse and make your day out at Barleylands extra special. While you are welcome to bring a picnic, the world-famous Tiptree Jam has a Tearoom within The Village, with table service and a delicious selection of breakfasts, hot and cold lunches, and Tiptree jam with a splendid cream tea. If your preference is for fine dining, then The Magic Mushroom serves a la carte fare, a daily set-lunch, dinner until late, and a marvellous Sunday lunch. 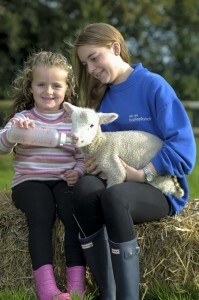 Visitors can spend the morning or afternoon at The Village or combine with a visit to the farm for a full day out. The farm park has something for everyone, with indoor barns and outdoor paddocks, to meet the animals and discover our farming history. Barleylands Farm Park is home to Snakes Alive, an amazing reptile house, with over 50 different enclosures, featuring reptiles from all over the world. See tortoises, lizards, amphibians, a host of invertebrates, including spiders and scorpions as well as snakes of all kinds. Over at the Imperial Bird of Prey Academy, visitors can enjoy displays of hawks, owls, vultures and falcons, as well as watch them at rest or with their handlers. The Discovery Barn holds the farm museum. Step back in time and learn more about rural life in Essex in times gone by, as well as the journey from farm to fork through a well-presented range of historic farm machinery, photography, tools and equipment.